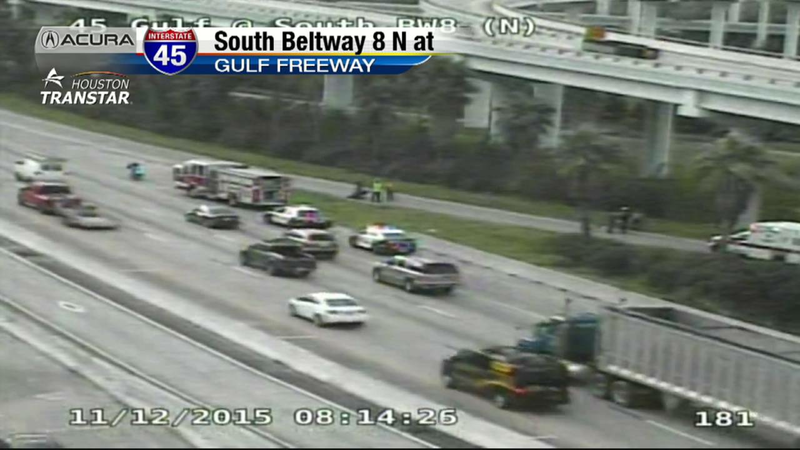 HOUSTON - Houston police are investigating a fatal crash involving a motorcycle on Gulf Freeway south at Beltway 8 in southwest Houston. Just after 7:30 Thursday morning, a man was pronounced dead at the scene, police said. Police have not released his identity pending completion of the investigation. According to investigators, the victim was riding a motorcycle on an entrance ramp of the Gulf Freeway when he hit a guardrail and flew off the motorcycle.